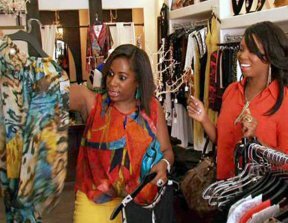 FOX Life’s Addicted to Shopping explores the world of out-of-control consumerism, which premieres on Thursday, February 6, 2014 ET/PT. It’s a reality show that demonstrates how overspending becomes detrimental to one’s own financial future, but also to relationships with friends, families and co-workers. One of the therapists working with the addicted shoppers, Dr. Ramani, a PhD in Psychology and Professor at the University of California, recently discussed the nature of addicted shopping and the importance of sensitive yet tough actions of people wanting to helping loved ones coping with the addiction. According to Dr. Ramani, a common misconception about addicted shoppers is that they are wealthy. This is generally not the case, and as Addicted to Shopping, exposes, more often than not, shopping addicts generally tend to spend way beyond their means. The root of a shopping addiction is difficult to pinpoint, but as the series progresses distinct causes become known. These include the need to ease anxiety and cope with stress, the need to fulfill a sense of emptiness, the need to be status conscious, narcissism and also relating the shopping experience to the memory of a loved one. For Dr. Ramani, the shopping addiction is growing not only in the United States, but also in countries where credit is pronounced and available. What’s unique to a shopping addiction is that it is often a private act as money is a very personal issue. Dr. Ramani said the warning signs are as follows: feeling out of control, spending money that is in a way a financial danger, feeling anxious or depressed, spending time away from family in order to shop, and even an increase in heart rate. If a loved one is beginning to show signs of overspending, it’s critical to be conscious of your words and actions. By shifting your tone from accusatory to supportive, you’ll have a better chance of connecting with your loved ones and convincing them to better spend their time away from store aisles. Although shopping addictions cannot be fully cured, they can be managed and these people can take their lives back with the help of professionals and the support of family and friends. Addicted to Shopping has a relatability and a usefulness relevant to viewers today. For more information on FOX Life’s Addicted to Shopping, go to www.foxlife.tv.